On the summit of Mt. Whitney, Horace Albright stands third from the right and Stephen T. Mather to his right. National Geographic photo by Gilbert Grosvenor. 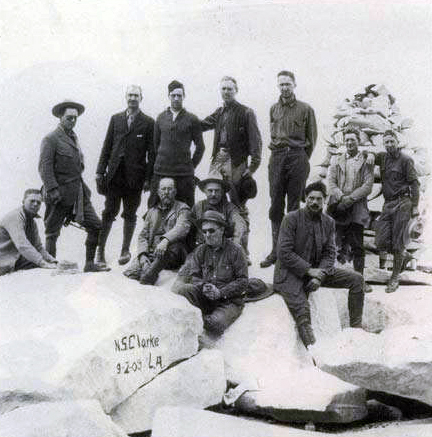 In 1915 Stephen T. Mather, class of 1887, and Horace M. Albright, class of 1912, gathered a group at the young University of California Berkeley campus to plot a future for the country’s existing and evolving national parks. The result was legislation establishing the National Park Service in 1916. Mather became the first director of the park service, Albright was the second. UC Berkeley has been intimately involved with the parks ever since. Professors Joseph Grinnell and Joseph Le Conte led early research on Yosemite’s natural history, trained the first cohorts of National Park Service biologists and connected generations of students with the parks. Alumnus George Melendez Wright started the park service’s Wildlife Division with his own funds and for many years it operated out of the top floor of Hilgard Hall, in what is now the College of Natural Resources. UC Berkeley is continuing that close connection and moving it into the next century, leading science for parks for the next 100 years. In March 2015 UC Berkeley convened science leaders for a summit to help launch a second century of stewardship for parks. The goal of the summit, “Science for Parks, Parks for Science,” was to envision and contribute to strategies for science in, about, and for using parks for the coming decades by building on the historic linkage between the National Park Service and scientists at leading universities and other organizations around the world. This collaboration is crucial to nurture the future health of parks and protected areas worldwide and biodiversity conservation. The summit re-dedicated that partnership in a forward-looking way by examining the mission of the National Park Service and its relevance today, the scientific and management implications of this mission in a changing world, the social and cultural dimensions for advancing this mission, and the future of science for parks and parks for science. 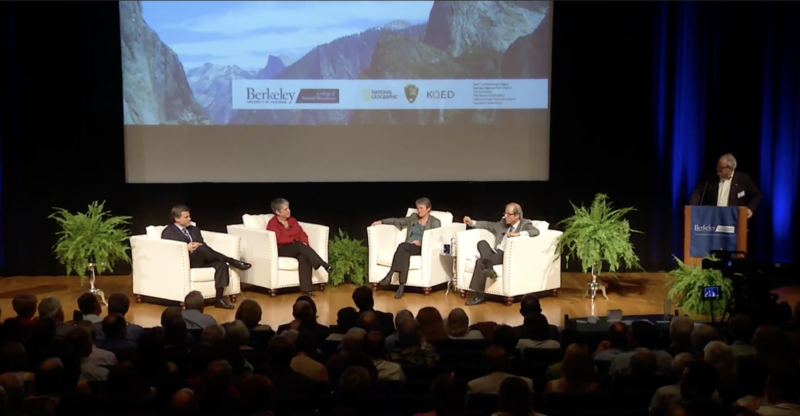 Presented in conjunction with the summit, on March 26, 2015, a conversation between U.S. Secretary of the Interior Sally Jewell, President of the University of California Janet Napolitano, and Historian and Author Douglas Brinkley took place as part of the ongoing Horace M. Albright Lecture in Conservation series. In October 2017, the College of Natural Resources announced the establishment of the Institute for Parks, People, and Biodiversity, which was created to tackle the most pressing issues facing the future of parks, including climate change and equitable access. The Institute’s inaugural executive director is Jonathan B. Jarvis, who served 40 years with the National Park Service and as its 18th director from 2009 to 2017. Resources Legacy Fund provided $250,000 in seed funding to launch the institute, continuing its nearly 20-year history of advancing conservation across the West. Hosted by the College of Natural Resources, the Institute engages faculty affiliates from across the Berkeley campus.